I was holding one of these flowers [Integral generosity] in my hand when I saw Z, and I explained to him what I meant by it. The effect of the ego, I told him, is to shrivel the being. This is the cause of aging, it shrivels you up like a fading flower, it dries you up.I know that at one point I was talking about the difference between the two states, between the person, the individual personal being, turning towards the Lord, imploring Him to reveal His Will, and then this experience of becoming - by extending oneself, by opening, enlarging, merging into the creation — of becoming the Lord's Will, the Supreme Will. Small to medium-sized single or double flowers with irregular wavy petals and a long thin spur; in shades of red, pink, purple and white, often variegated; borne singly in the leaf axils on very thin stalks. A bushy garden annual with succulent stems and serrate leaves. 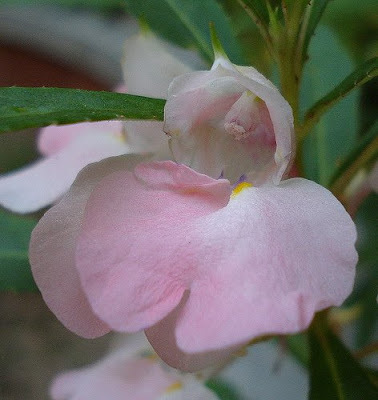 Small to medium-sized single or double pink flowers with irregular wavy petals and a long thin spur; borne singly in the leaf axils on very thin stalks. A bushy garden annual with succulent stems and serrate leaves. Small to medium-sized single rose purple flowers with irregular wavy petals and a long thin spur; borne singly in the leaf axils on very thin stalks. A bushy garden annual with succulent stems and serrate leaves. 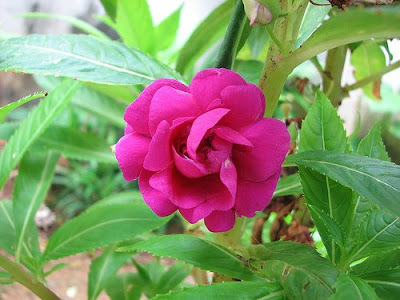 Small to medium-sized double rose purple flowers with irregular wavy petals and a long thin spur; borne singly in the leaf axils on very thin stalks. A bushy garden annual with succulent stems and serrate leaves. Generosity of thought and act. 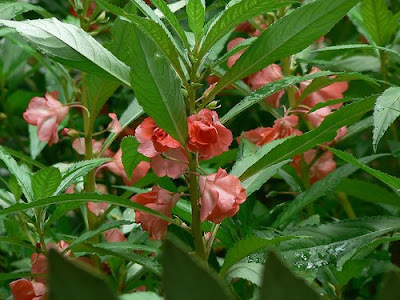 Small to medium-sized bicoloured pink and red single or double flowers with irregular wavy petals and a long thin spur; borne singly in the leaf axils on very thin stalks. A bushy garden annual with succulent stems and serrate leaves. Loves abundance and loves to give it. 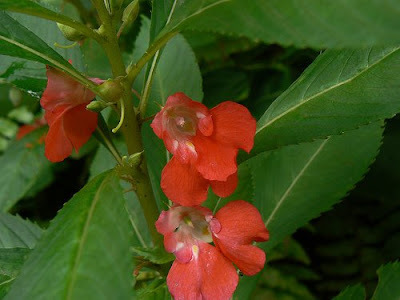 Small to medium-sized single or double red flowers with irregular wavy petals and a long thin spur; borne singly in the leaf axils on very thin stalks. A bushy garden annual with succulent stems and serrate leaves. 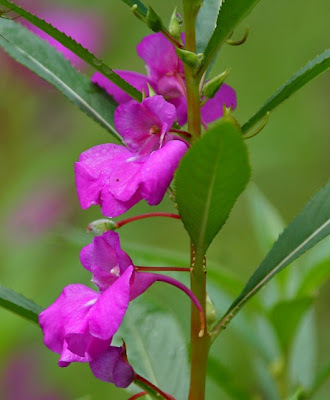 Small to medium-sized all bicoloured single or double flowers except pink and red, with irregular wavy petals and a long thin spur; borne singly in the leaf axils on very thin stalks. A bushy garden annual with succulent stems and serrate leaves. Likes to be given and spread far and wide. 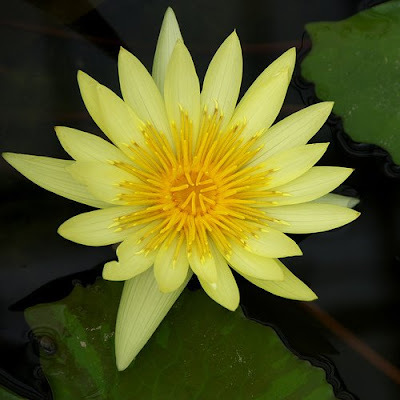 Large showy usually very fragrant yellow flowers with numerous narrow pointed or rounded petals, many prominent erect stamens and four petal- like sepals; borne singly on long stems, either floating or held above the water. An aquatic rhizomatous herb with large floating peltate leaves.